12 piece assortment of carabineer style key chains. Prepackages with 3 of each color - Green, Red, Blue & Purple. 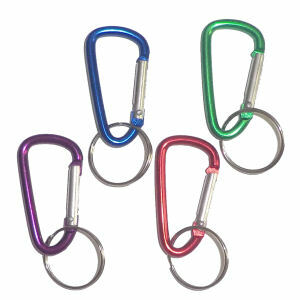 The clips measure about 1.8" x 1" and the key chain hoop measures about 1" across.